Razor announced that they are coming out with a new gaming speaker line at CES 2018. Razer released the details for the new Nommo and Nommo Pro on Tuesday. The Nommo Pro is THX certified and it combines 2.1 speaker system with Dolby Virtual Speaker technology for a true gaming immersion experience. While the Nommo 2.0 speaker system is a price-performing alternative for balanced, full-range sound. The nommo speaker was engineered to aid gamers with sensing everything in their environments. 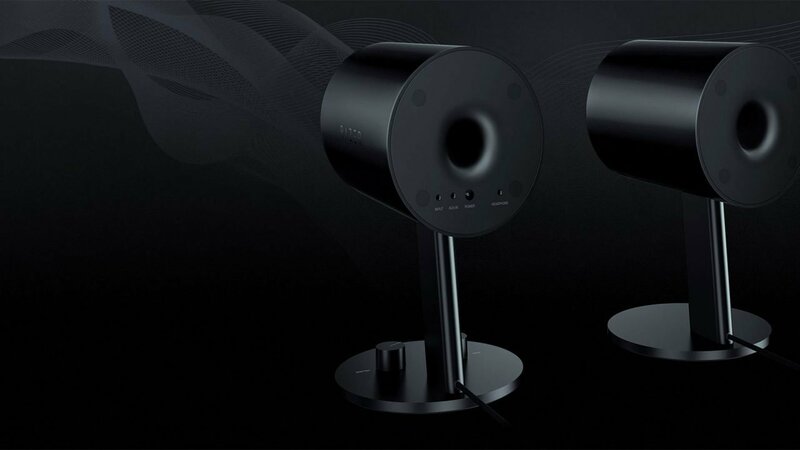 The speaker features a true left and right stereo imaging to help gamers know what direction sounds are coming from. On top of these features, the Nommo Pro features Independent Tweeters. These enhanced audio systems allow gamers to catch minute details in gaming audio. The Razer Nommo Pro sports a USB, Optical, Bluetooth and 3.5-millimeter jack and control pod that places volume, source controls and a headphone jack within reach. The sound system can be synced with Razer Synapse 3 (beta) and a Nommo Pro mobile app. This app is available on Android and iOS. Users can connect their phones so that they can play spotify and other music apps from the speakers via bluetooth. The Raxer Nommo however, is a 2.0 speaker system with tech that brings out a full range of sound with Custom Woven Glass Fiber 3 Inch drivers that allow for increased power and clarity. It also sports an elongated rear firing bass ports to help produce high amounts of bass while reducing distortion at high volumes. The Nommo will be available at the Razerstore.com on January 9th, 2018. For worldwide, it will be released in January 2018. For more CES news stay tuned to CGMagazine.